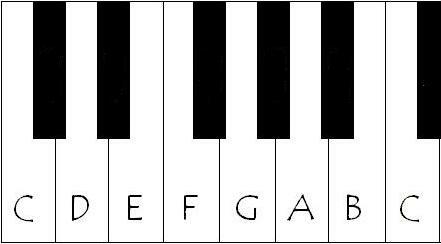 Chords. Built on notes. I don’t understand how to play the chords yet so I work my notes. It becomes muscle memory. I hear the notes meet and feel them blend, foundations. And yet my fingers play dumb, stoned, surfer, Picillo-ied. It falls apart. The swear that follows blows ash off the keyboard and echos with plate reverb. So it’s notes and repetition. It’s cramped, non ergonomic positions and focus. And constant Rewind – Record. Repeat. A mountain starts with a step. A war starts with a shot. A song starts with a note, and notes get piled on: harmonic, dissonant, octave. And chords come and you have flight. Take time from the all consuming ALL of life and get here, in front of the keys. Learn. Take effort from the act of living well or surviving adequately and work on your timing. A half beat can be your doom or breakthrough. You can’t know until you know. It’s sunny and 75 degrees. But I cover the window to keep the constant Park Ave traffic sounds manageable. It could be midnight or 3 in the afternoon. Learn. 1.2.3.4. Notes make chords. Chords are progress. Joy. There is a difference though. Tween life and learning piano. You can take lessons and training for one. The other. … not. So I work the notes. Chords, broken Baroque by accident. Maybe. Maybe fate. Tiny steps can be big trips. And tiny trips can be big steps.